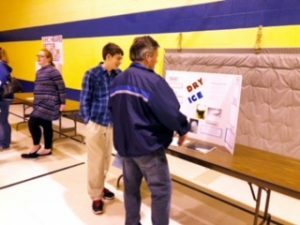 St. Mary’s School had a Science Fair with Junior High students on Wednesday, February 22nd, 2018. All of the students did such an amazing job! Six judges from the community came to the school to evaluate each project and presentation. The following students received a SUPERIOR rating and will be continuing on to Districts at Ashland University. The following students received an EXCELLENT rating.